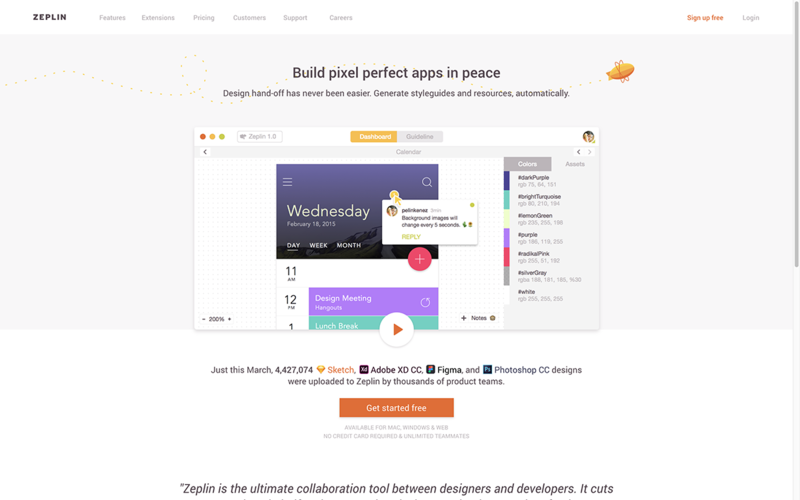 Among the most popular suggestions on Smashing Magazine’s Content User Suggestions board is the need of learning more about the interaction and communication between designers and developers. There are probably several articles worth of very specific things that could be covered here, but I thought I would kick things off with a general post rounding up some experiences on the subject. Given the wide range of skills held by the line-up at our upcoming SmashingConf Toronto — a fully live, no-slides-allowed event, I decided to solicit some feedback. I’ve wrapped those up with my own experience of 20 years working alongside designers and other developers. I hope you will add your own experiences in the comments. Some tips work best when you can be in the same room as your team, and others are helpful for the remote worker or freelancer. What shines through all of the advice, however, is the need to respect each other, and the fact that everyone is working to try and create the best outcome for the project. For many years, my own web development company operated as an outsourced web development provider for design agencies. This involved doing everything from front-end development to implementing e-commerce and custom content management solutions. Our direct client was the designer or design agency who had brought us on board to help with the development aspect of the work, however, in an ideal situation, we would be part of the team working to deliver a great end result to the end client. Sometimes this relationship worked well. We would feel a valued part of the team, our ideas and experience would count, we would work with the designers to come up with the best solution within budgetary, time, and other constraints. In many cases, however, no attempt was made to form a team. The design agency would throw a picture of a website as a PDF file over the fence to us, then move on to work on their next project. There was little room for collaboration, and often the designer who had created the files was busy on some other work when we came back with questions. Getting workflow just right ain’t an easy task. So are proper estimates. Or alignment among different departments. That’s why we’ve set up ‘this-is-how-I-work’-sessions — with smart cookies sharing what works well for them. A part of the Smashing Membership, of course. It was an unsatisfactory way to work for everyone. We would be frustrated because we did not have a chance to help ensure that what was designed was possible to be built in a performant and accessible way, within the time and budget agreed on. The designer of the project would be frustrated: Why were these developers asking so many questions? 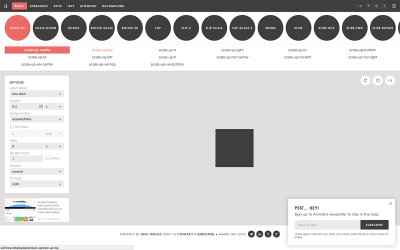 Can they not just build the website as I have designed? Why are the fonts not the size I wanted? The Waterfall versus Agile argument might be raised here. The situation where a PDF is thrown over the fence is often cited as an example of how bad a Waterfall approach is. Still, working in a fully Agile way is often not possible for teams made of freelancers or separate parties doing different parts of the work. Therefore, in reading these suggestions, look at them through the lens of the projects you work on. However, try not to completely discount something as unworkable because you can’t use the full process. There are often things we can take without needing to fully adopt one methodology or another. I came to realize that very often the success of failure of the collaboration started before we even won the project, with the way in which we proposed the working relationship. We had to explain upfront that experience had taught us that the approach of us being handed a PDF, quoting and returning a website did not give the best results. Projects that were successful had a far more iterative approach. It might not be possible to have us work alongside the designers or in a more Agile way. However, having a number of rounds of design and development with time for feedback from each side went a long way to prevent the frustrations of a method where work was completed by each side independently. Having longer-term relationships with an agency, spanning a number of projects worked well. We got to know the designers, learned how they worked, could anticipate their questions and ensure that we answered them upfront. We were able to share development knowledge, the things that made a design easier or harder to implement which would, therefore, have an impact on time and budget. They were able to communicate better with us in order to explain why a certain design element was vital, even if it was going to add complexity. For many freelance designers and developers, and also for those people who work for a distributed company, communication can become mostly text-based. This can make it particularly hard to build relationships. There might be a lot of communication — by email, in Slack, or through messages on a project management platform such as Basecamp. However, all of these methods leave us without the visual cues we might pick up from in-person meetings. An email we see as to the point may come across to the reader as if we are angry. The quick-fire nature of tools such as Slack might leave us committing in writing something which we would not say to that person while looking into their eyes! “As a remote freelancer, I know that to interact well with my clients I really need to have a video call (stress on the video) I need to see their face and facial/body interactions and they need to see mine. For clients that I have within public transport distance, I used to travel there for a first ‘getting to know each other/see if we can do a project’ meeting, which would take loads of time. But I noticed for my clients abroad (that I can’t visit anyway) that a first client call (again, make sure it’s a video-call) works more than good enough. Working in the open (with the project frequently deployed to a staging server that everyone had access to see), helped to support an iterative approach to development. I found that it was important to support that live version with explanations and notes of what to look at and test and what was still half finished. If I just invited people to look at it without that information we would get lists of fixes to make to unfinished features, which is a waste of time for the person doing the reporting. However, a live staging version, plus notes in a collaboration tool such as Basecamp meant that we could deploy sections and post asking for feedback on specific things. This helped to keep everyone up to date and part of the project even if — as was often the case for designers in an agency — they had a number of other projects to work on. 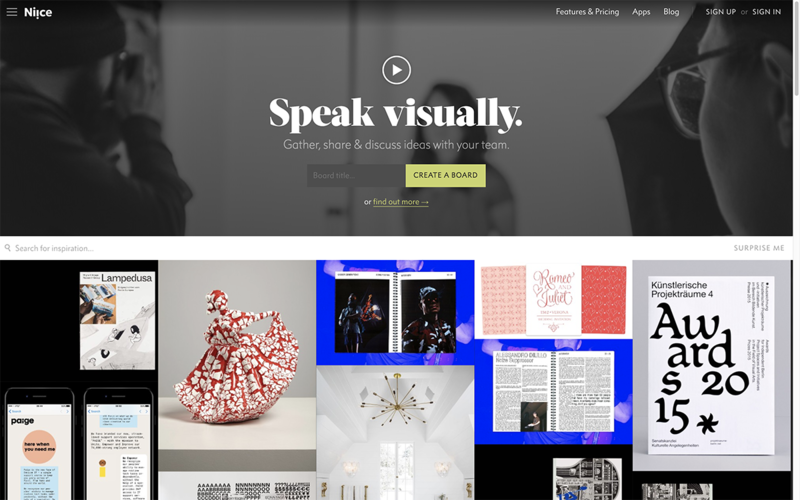 There are collaboration tools to help designers to share their work too. Asking for recommendations on Twitter gave me suggestions for Zeplin, Invision, Figma, and Adobe XD. Showing work in progress to a developer can help them to catch things that might be tricky before they are signed off by the client. By sharing the goal behind a particular design feature within the team, a way forward can be devised that meets the goal without blowing the budget. The thing about working in the open is that people then start to have ideas (which should be a positive thing), however, most timescales and budgets are not infinite! This means you need to learn to deal with scope creep and change requests in a way that maintains a good working relationship. We would often get requests for things that were trivial to implement with a message saying how sorry they were about this huge change and requests for incredibly time-consuming things with an assumption it would be quick. Someone who is not a specialist has no idea how long anything will take. Why should they? It is important to remember this rather than getting frustrated about the big changes that are being asked for. Have a conversation about the change, explain why it is more complex than it might appear, and try to work out whether this is a vital addition or change, or just a nice idea that someone has had. If the change is not essential, then it may be enough to log it somewhere as a phase two request, demonstrating that it has been heard and won’t be forgotten. If the big change is still being requested, we would outline the time it would take and give options. This might mean dropping some other feature if a project has a fixed budget and tight deadline. If there was flexibility then we could outline the implications on both costs and end date. With regard to costs and timescales, we learned early on to pad our project quotes in order that we could absorb some small changes without needing to increase costs or delay completion. This helped with the relationship between the agency and ourselves as they didn’t feel as if they were being constantly nickel and dimed. Small changes were expected as part of the process of development. I also never wrote these up in a quote as contingency, as a client would read that and think they should be able to get the project done without dipping into the contingency. I just added the time to the quote for the overall project. If the project ran smoothly and we didn’t need that time and money, then the client got a smaller bill. No one is ever unhappy about being invoiced for less than they expected! This approach can work even for people working in-house. Adding some time to your estimates means that you can absorb small changes without needing to extend the timescales. It helps working relationships if you are someone who is able to say yes as often as possible. This does require that you become adept at estimating timescales. This is a skill you can develop by logging your time to achieve your work, even if you don’t need to log your time for work purposes. While many of the things you design or develop will be unique, and seem impossible to estimate, by consistently logging your time you will generally find that your ballpark estimates become more accurate as you make yourself aware of how long things really take. I love this, it underpins everything that this article discusses. Think back to any working relationship that has gone bad, how many of those involved you feeling as if the other person just didn’t understand your point of view or the things you believe are important? Most reasonable people understand that compromise has to be made, it is when it appears that your point of view is not considered that frustration sets in. There are sometimes situations where a decision is being made, and your experience tells you it is going to result in a bad outcome for the project, yet you are overruled. On a few occasions, decisions were made that I believed so poor; I asked for the decision and our objection to it be put in writing, in order that we could not be held accountable for any bad outcome in future. This is not something you should feel the need to do often, however, it is quite powerful and sometimes results in the decision being reversed. An example would be of a client who keeps insisting on doing something that would cause an accessibility problem for a section of their potential audience. If explaining the issue does not help, and the client insists on continuing, ask for that decision in writing in order to document your professional advice. I recently had the chance to bring my CSS Layout Workshop not to my usual groups of front-end developers but instead to a group of UX designers. Many of the attendees were there not to improve their front-end development skills, but more to understand enough of how modern CSS Layout worked that they could have better conversations with the developers who built their designs. Many of them had also spent years being told that certain things were not possible on the web, but were realizing that the possibilities in CSS were changing through things like CSS Grid. They were learning some CSS not necessarily to become proficient in shipping it to production, but so they could share a common language with developers. There are often debates on whether “designers should learn to code.” In reality, I think we all need to learn something of the language, skills, and priorities of the other people on our teams. As Aaron reminded us, we are all on the same team, we are making stuff together. Designers should learn something about code just as developers should also learn something of design. This gives us more of a shared language and understanding. I have found that introducing designers to browser DevTools (in particular the layout tools in Firefox and also to various code generators on the web) has been helpful. By being able to test ideas out without writing code, helps a designer who isn’t confident in writing code to have better conversations with their developer colleagues. Playing with tools such as gradient generators, clip-path or animation tools can also help designers see what is possible on the web today. We are also seeing a number of tools that can help people create websites in a more visual way. Developers can sometimes turn their noses up about the code output of such tools, and it’s true they probably won’t be the best choice for the production code of a large project. However, they can be an excellent way for everyone to prototype ideas, without needing to write code. Those prototypes can then be turned into robust, permanent and scalable versions for production. An important tip for developers is to refrain from commenting on the code quality of prototypes from members of the team who do not ship production code! Stick to what the prototype is showing as opposed to how it has been built. Eva-Lotta Lamm will be speaking in Toronto about Sketching and perhaps unsurprisingly passed on practical tips for helping conversation by visualizing the problem to support a conversation. Creating a shared picture of a problem or a solution is a simple but powerful tool to create understanding and make sure they everybody is talking about the same thing. Visualizing a problem can reach from quick sketches on a whiteboard to more complex diagrams, like customer journey diagrams or service blueprints. But even just spatially distributing words on a surface adds a valuable layer of meaning. Something as simple as arranging post-its on a whiteboard in different ways can help us to see relationships, notice patterns, find gaps and spot outliers or anomalies. If we add simple structural elements (like arrows, connectors, frames, and dividers) and some sketches into the mix, the relationships become even more obvious. Visualising a problem creates context and builds a structural frame that future information, questions, and ideas can be added to in a ‘systematic’ way. Visuals are great to support a conversation, especially when the conversation is ‘messy’ and several people involved. When we visualize a conversation, we create an external memory of the content, that is visible to everybody and that can easily be referred back to. We don’t have to hold everything in our mind. This frees up space in everybody’s mind to think and talk about other things without the fear of forgetting something important. Visuals also give us something concrete to hold on to and to follow along while listening to complex or abstract information. When we have a visual map, we can point to particular pieces of content — a simple but powerful way to make sure everybody is talking about the same thing. And when referring back to something discussed earlier, the map automatically reminds us of the context and the connections to surrounding topics. When we sketch out a problem, a solution or an idea the way we see it (literally) changes. Every time we express a thought in a different medium, we are forced to shape it in a specific way, which allows us to observe and analyze it from different angles. Visualising forces us to make decisions about a problem that words alone don’t. We have to decide where to place each element, decide on its shape, size, its boldness, and color. We have to decide what we sketch and what we write. All these decisions require a deeper understanding of the problem and make important questions surface fairly quickly. All in all, supporting your collaboration by making it more visual works like a catalyst for faster and better understanding. Working in this way is obviously easier if your team is working in the same room. For distributed teams and freelancers, there are alternatives to communicate in ways other than words, e.g. by making a quick Screencast to demonstrate an issue, or even sketching and photographing a diagram can be incredibly helpful. There are collaborative tools such as Milanote, Mural, and Niice; such tools can help with the process Eva-Lotta described even if people can’t be in the same room. I’m very non-visual and have had to learn how useful these other methods of communication are to the people I work with. I have been guilty on many occasions of forgetting that just because I don’t personally find something useful, it is still helpful to other people. It is certainly a good idea to change how you are trying to communicate an idea if it becomes obvious that you are talking at cross-purposes. As with most things, there are many ways to work together. Even for remote teams, there is a range of tools which can help break down barriers to collaborating in a more visual way. However, no tool is able to fix problems caused by a lack of respect for the work of the rest of the team. A good relationship starts with the ability for all of us to take a step back from our strongly held opinions, listen to our colleagues, and learn to compromise. We can then choose tools and workflows which help to support that understanding that we are all on the same team, all trying to do a great job, and all have important viewpoints and experience to bring to the project. I would love to hear your own experiences working together in the same room or remotely. What has worked well — or not worked at all! Tools, techniques, and lessons learned are all welcome in the comments. If you would be keen to see tutorials about specific tools or workflows mentioned here, perhaps add a suggestion to our User Suggestions board, too. Can Amazon Build a Home Robot That Is Useful and Affordable?